Any parent would remember the time when their infant would fall asleep and closely monitoring that they were in fact breathing. Today, you’re probably just glad that your child sleeps at all, yet childhood snoring is something that every parent should be aware of. The thought of your child struggling for air during sleep is any parent’s nightmare. For the most part, childhood snoring may indicate a variety of issues that a child is suffering or at risk of, including crowded dental development, daytime tiredness learning difficulties, and behavioral issues. Research has shown that children who snored loudly were twice as likely to have learning problems. Following a night of poor sleep, children are also more likely to be hyperactive and have difficulty paying attention. These are also signs of attention-deficit/hyperactivity disorder (ADHD). Sleep apnea may also be associated with delayed growth and cardiovascular problems. Sleep is a time for rejuvenation and regeneration. The body is resetting and rebuilding all of its processes and is a vitally crucial time for rapidly growing children. One of the biggest concerns are neurological impacts that may occur if a child can’t deliver enough oxygen to their brain during sleep. Sleep disordered breathing is a term for breathing conditions that occur during sleep. The concern is that during SDBs, a child’s brain may be starved of oxygen. With approximately 10% of children shown to snore regularly, approximately 2-4% concurrently have obstructive sleep apnea. Obstructive sleep apnea occurs when the airway becomes blocked causing repetitive pauses in breathing during sleep and decreasing oxygenation of the blood. Experts have confirmed that snoring can be a sign of airways becoming blocked during sleep and may cause sleep apnea. Childhood snoring can be a sign of deeper breathing issues that put a child at development risks due to poor sleep. However, the reason for the snoring to occur may indicate that the child’s mouth isn’t developing the way it should. The oral cavity not only houses the teeth, tongue and other soft tissues, but the facial bones are home to the upper airways in both the nose and throat. When a child has crooked, cramped teeth, it means their jawbone hasn’t grown properly and their airways may also suffer from restriction. When a person grinds their teeth at night, it often means the body is trying to open their restricted airways to breathe properly. Snoring in a child with crooked teeth could be a cardinal sign of obstructive sleep apnea that delivers repetitive pauses in breathing due to poor development of upper airways. Asides from dental development there is a range of contributing risk factors that may put a child at risk of sleep apnea. If your child has any of these in conjunction with dental crowding and snoring, you should have your child assessed in a sleep study. The most common problem associated with sleep-disordered breathing is large tonsils. Swollen or infected adenoids in the throat contribute to airway blockage making it extremely difficult for a child to breath during sleep. 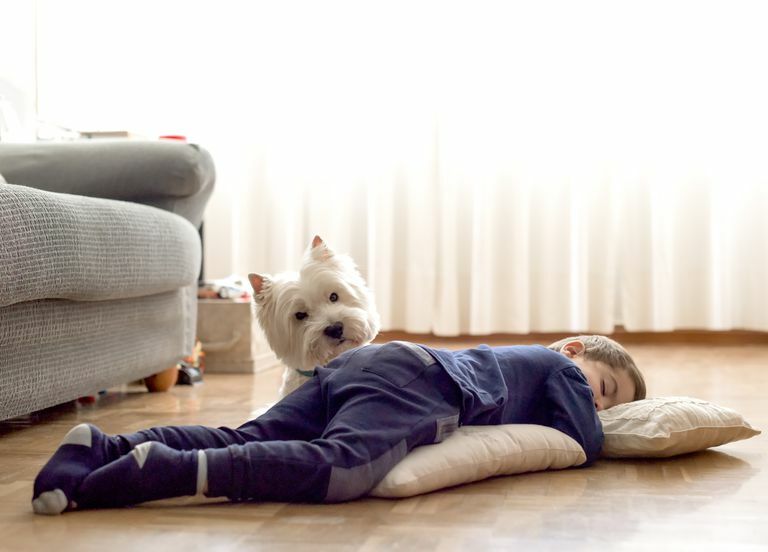 If you’ve noticed any of these signs in your child you should investigate whether they need a sleep study to determine whether they have sleep disordered breathing. A trip to the dentist may be able to determine if they are at risk due to poorly formed dental arches and small upper airways or mouth breathing. If you suspect your child is at risk book an appointment today with your GP or dentist. Anuntaseree, Wanaporn, et al. "Snoring and Obstructive Sleep Apnea in Thai School‐Age Children: Prevalence and Predisposing Factors." Pediatric pulmonology 32.3 (2001): 222-227. Beebe, Dean W., et al. "Persistent Snoring in Preschool Children: Predictors and Behavioral and Developmental Correlates." Pediatrics 130.3 (2012): 382-389. Capdevila, Oscar Sans, et al. "Pediatric Obstructive Sleep Apnea: Complications, Management, and Long-Term Outcomes." Proceedings of the American Thoracic Society 5.2 (2008): 274-282. Jain, Sejal V., et al. "Obstructive Sleep Apnea and Primary Snoring in Children With Epilepsy." ​Journal of child neurology 28.1 (2013): 77-82. Miyao, Etsuko, et al. "The Role of Malocclusion in Non-Obese Patients With Obstructive Sleep Apnea Syndrome." Internal Medicine 47.18 (2008): 1573-1578.